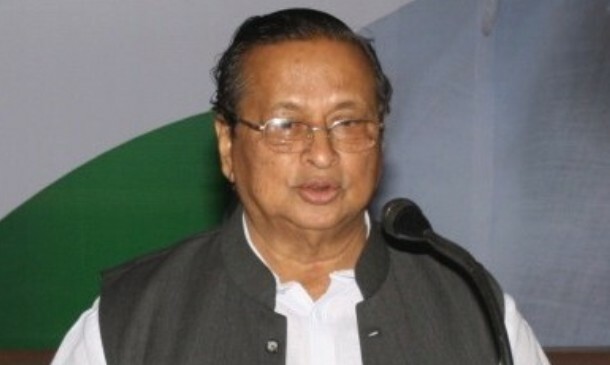 ONI Bureau: Ahead of Congress President Rahul Gandhi’s Odisha visit tomorrow, Odisha Pradesh Congress Committee (OPCC) President Niranjan Patnaik and his son Navjyoti Patnaik have been summoned by Economic Offences Wing (EOW) of Delhi Police for interrogation tomorrow in a fraud case. It’s not immediately known whether Niranjan and his son would appear before the EOW tomorrow or not. It can be noted that a fraud case was registered against two Directors of a Delhi based Company Vavasi Telegence Pvt. Ltd. by Kamaljeet Singh Ahluwalia in 2017. The Company has been inactive since 2013. 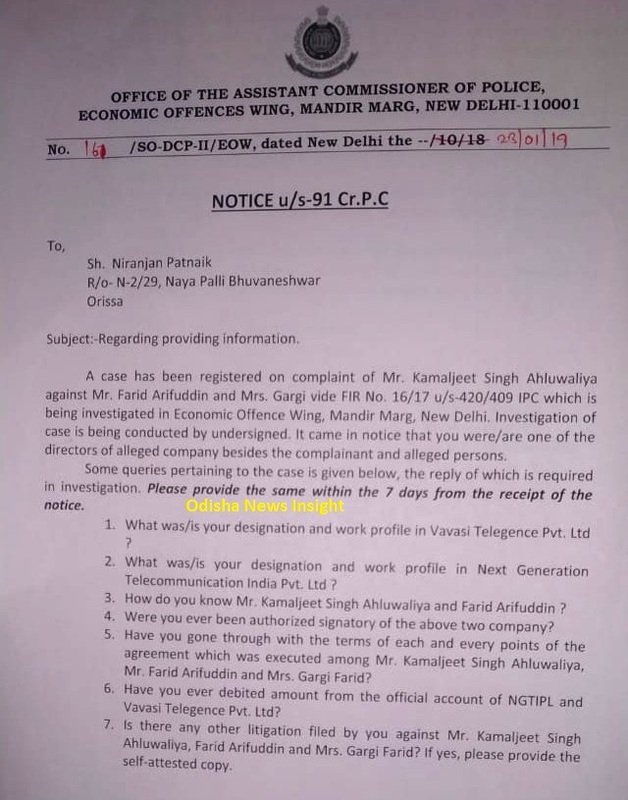 As both Niranjan and Navjyoti were involved in the company management in the past, they were summoned by the EOW of Delhi Police to provide further information. They had reportedly received a similar notice in October 2018 too. But, it’s yet to be verified. The Odisha News Insight has concrete information that Niranjan Patnaik was the Chairman of Vavasi Group of Companies in the past.